When I first began working at Pride in 2011 we were not yet using photos to tell the story of our organization or community. 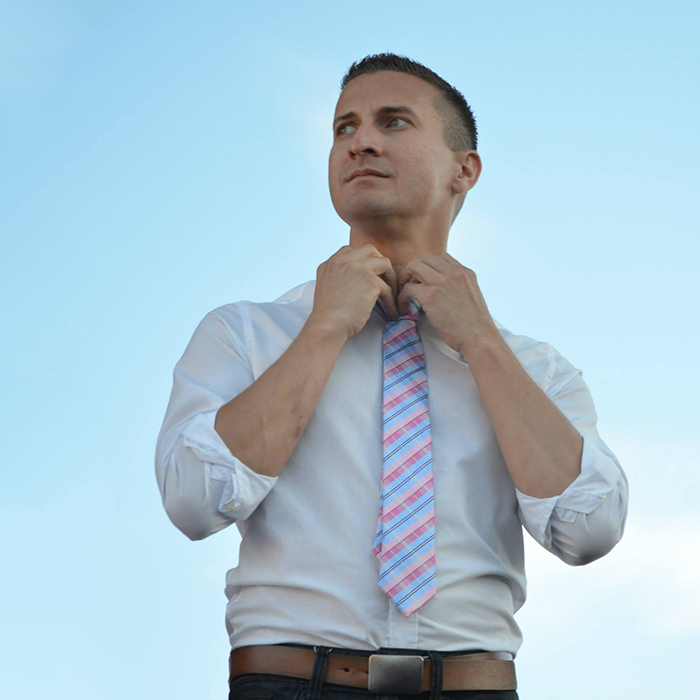 While we had enjoyed LGBTQ employment protections for some time in the state of California – San Diego had the highest concentration of LGBTQ military personell in the country, and the repeal of Don’t Ask, Don’t Tell had not yet taken effect. The risk was too great for our service members. When the repeal of DADT took effect later that year, Pride began the long process of uploading our photographic history to Facebook and something amazing happened. You see, while social media and digital photography were still relatively new and certainly not yet ubiquitous, in 1994 Executive Director Brenda Schumacher had begun the tradition of ensuring everything about Pride was documented through photography. Her foundational work coupled with the photo collections of board and community members meant that images of our community were well-preserved and could be shared. As folks started to look through each year of Pride they began to tag their friends, share memories, and even reconnect with loved ones who they thought they had lost during the HIV/AIDS crisis. Our community knows all too well that visibility is key to impacting change, and photography can play a vital role in authentically showcasing the breadth and depth of our community. In 2012 San Diego Pride became the first in the nation to have Department of Defense approval for active duty service members to wear their uniforms in our Parade. 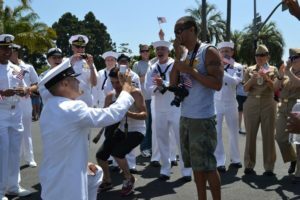 Near the end of the parade and within our military contingent, then Navy Senior Chief Dwayne D. Beebe proposed to Jonathan Franqui. The photo that captured that moment was posted immediately to our account and seen over 5 million times spreading beyond Pride to be used by Freedom to Marry and the Human Rights Campaign as were were able to authentically show the intersections of two contemporary issues our community was dealing with. The freedom to serve, and the right to marriage equality. Honoring that legacy of art as advocacy, Art of Pride is a program showcasing local LGBTQ artists that we have been hosting since 2005 at our Festival and within our building. The next exhibit is entitled Images of Pride where the brilliant work of our community’s photographers will be on display. We hope you will join us at the upcoming reception to reflect on how far we’ve come as we Persist with Pride.